THE emergence of Right to Information (RTI) Act 2009 that came into effect on the 6th of April 2009 is undoubtedly a landmark in the legal arena of the country. This law supersedes several inconsistent provisions in other laws like the Official Secrets Act 1923, the Evidence Act 1872, the Rules of Business 1996 and the Government Servants (Conduct) Rules 1979 among others. The law also provides an independent Information Commission with broad powers to provide remedies to the failures to implement the law. Under the Article 15(1) of the Act the government appointed a three-member Information Commission which has already done the necessary works to prepare the rules of business for the proper functioning of the commission as well as implementation of the Act. Enactment of the RTI Act is an important march towards ensuring peoples' access to information, and establishing their rights of the public information. Espousal of this Act in Bangladesh is the outcome of the multi-faceted efforts of campaign and advocacy by stakeholders in public, private and non-government sectors. 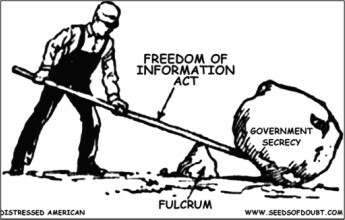 Freedom of information laws have created new power relations between the government sectors and people where RTI laws are being implemented, such as in India, South Africa and Mexico. Enactment of RTI Act in Bangladesh has placed before us the challenge of executing the Act and ensuring the delivery of public information to the people. This law would contribute to the growing demand of the citizens' access to the information as a catalyst for spiraling democracy, establishing good governance and combating corruption if implemented properly. Despite certain limitations and concerns of different civil society and citizen rights groups over the effectiveness of the Act due to the provisions of non disclosure and exemptions on some grounds, the Act need to be carried forward towards its implementations at different levels, and at local level in particular where both the media and civil societies have crucial roles to play. Raising awareness at local level is crucial to the implementation of the law. Thus, in the process of implementation most functional aspects of the law will be recognized and lapses will be identified and remedied. Under the Act, organizations that run with public money and the NGOs using foreign funds will have to disclose information as categorized. People will be able to get information they have asked for in 20 days, and in emergency cases within 24 hours. The Act suggests that in case of issues concerning a person's life and death, arrest and release from jail, the officials will have to provide primary information within 24 hours. The Act would not however covers eight security and intelligence agencies, which includes National Security Intelligence (NSI), Directorate General of Forces Intelligence (DGFI), Defence Intelligence Units, Special Security Forces (SSF), Criminal Investigation Department (CID), Bangladesh Police and Central Intelligence Cell of the National Board of Revenue. However if the information sought is related to corruption or violation of human rights in these agencies, they will have to provide the information within 30 days. In order for the media and civil society stakeholders to facilitate the implementation of the act they should remain vigilant of other provisions of the Act. To ensure the best out of the RTI act, Mass-line Media Centre (MMC) organized a daylong workshop with the support of PROGATI (USAID) on Right to Information Act and Peoples' Right to Know on October 14, 2009 at Engineer Abdul Khaleque Hall of Press Club, Chittagong. The Chief Guest of the event was Professor Dr Abu Yusuf, Vice-Chancellor, University of Chittagong (CU) while the keynote paper titled “Raising Awareness at Local Level on the Implementation of Right to Information Act: Role of Media and Civil Society” was presented by Communication and Information Policy Specialist SM Shameem Reza, Assistant Professor, Department of Mass Communication and Journalism, University of Dhaka (DU). Among others, Chittagong Press Club Chair Abu Sufiyan, General Secretary Rashed Rauf, MMC Executive Director Kamrul Hasan Manju, City Editor of the Daily Suprobhat Bangladesh M Nasirul Haque, Dean of Faculty of Law of CU Professor Zakir Hossain were also present. The major participants included journalists, students, social activists, representatives from civil society and local government. Among other relevant issues, this paper discussed the potential roles of media and civil society as two key stakeholders to the implementation of the law and also to ensure effective delivery of the benefits of the Act. The keynote paper mentioned that journalists are one of the primary stakeholders who will be the most frequent users of the law. They are in central position in the public discourse on RTI Act. News media will help build trust between supply and demand sides, which is between the government (and public-funded organizations) and the people. They can also elucidate and construe the benefits of using the information law and contribute greatly to the promotion of the culture of ingenuousness. Among other issues, media can explain the law in terms of its strength, limitations and possible areas of applications. Mass media's surveillance and monitoring role will be crucial in establishing governance, skirmishing corruption, and ensuring disclosures of essential public information. Informing key policy makers what concerns the public and what they want and need to know, the news media can play a central role in creating efficient demand for information and thus putting pressure on the supply side for developing effectual information dissemination system. The paper also included that one of the primary roles of Civil Society Organisations and NGOs in implementing the RTI law should be to demystify the concept and use of 'information'. Demystification is a prerequisite to creating demands for information at the grass root level; and thus, in future, the ordinary and poor people would be conscious enough to make freedom of information and access as socio-political agenda. The workshop also included panel discussions, group works and question answer session where the panelist discussed about different facades of the law and participants showed several problems through their group presentations in implementing the RTI Act in different spheres of life and also tried to come up with possible solutions. Freedom of information and admittance is a continuing process. An RTI Act alone cannot ensure peoples' freedom of expression and right to have the control over the production of information. However, stakeholders in the civil society and media should look forward to finding effective ways to contribute to ensuring transparency and accountability in bureaucracy, help take ahead the government's anti-corruption actions and NGO mandates for pro-poor progress and social boost up. The writer is a student of LLM, Department of Law, University of Chittagong.